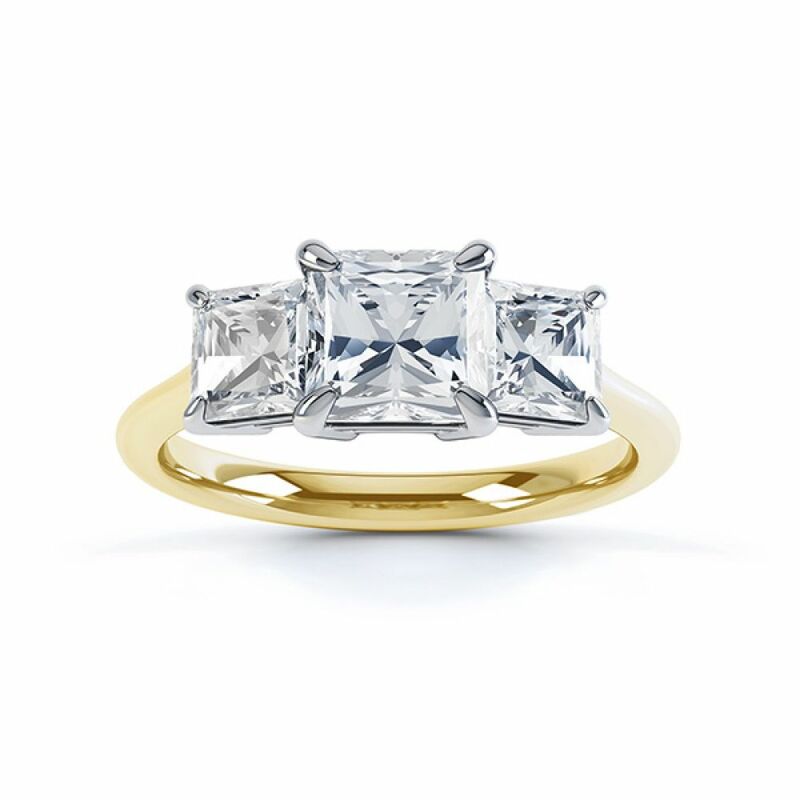 0.70cts Graduated Three Stone Princess Cut Diamond Engagement Ring. 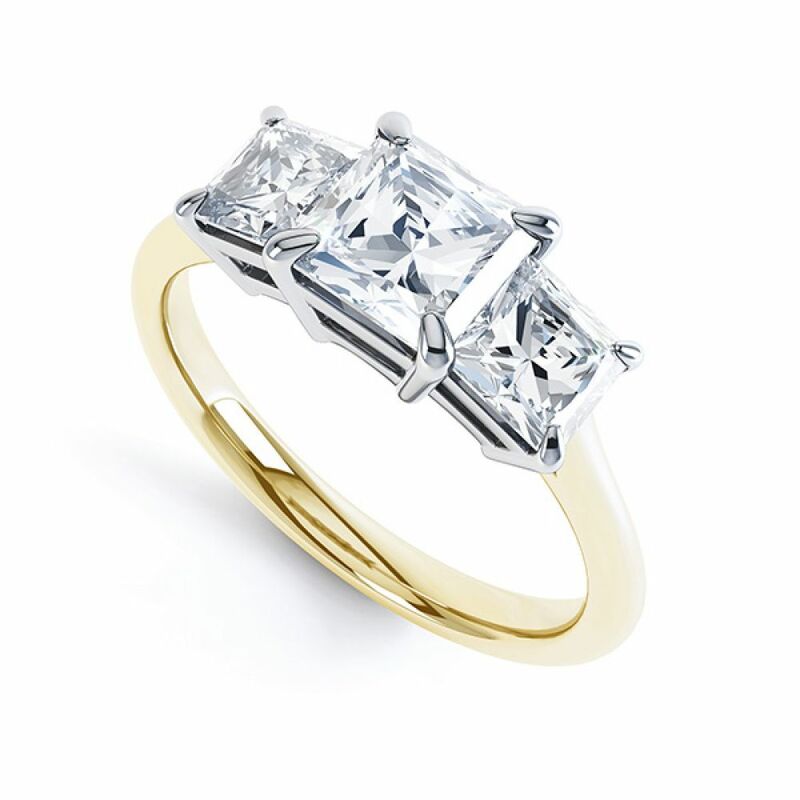 At the heart of this two tone 18ct Yellow and White Gold ring sits a trilogy of graduated 0.70cts Princess Cut Diamonds (G Colour, SI1 Clarity). 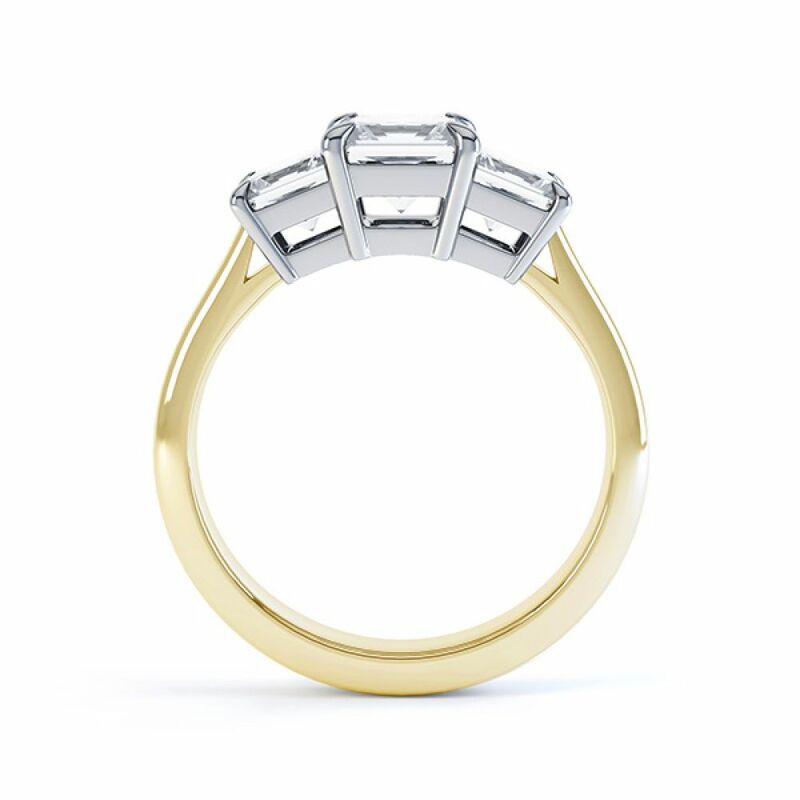 This particular ring on offer is a size M, and is available for immediate dispatch to you. It will arrive in a crafted wooden ring box, delivered by a trusted courier (next day delivery within the UK).